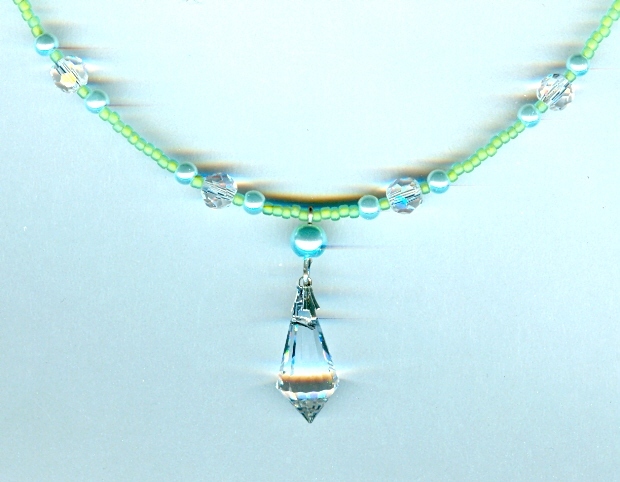 The dainty clear crystal pendant has linear facets, and dangles about 1-1/4" below a strand of aqua pearls and apple green seed beads. 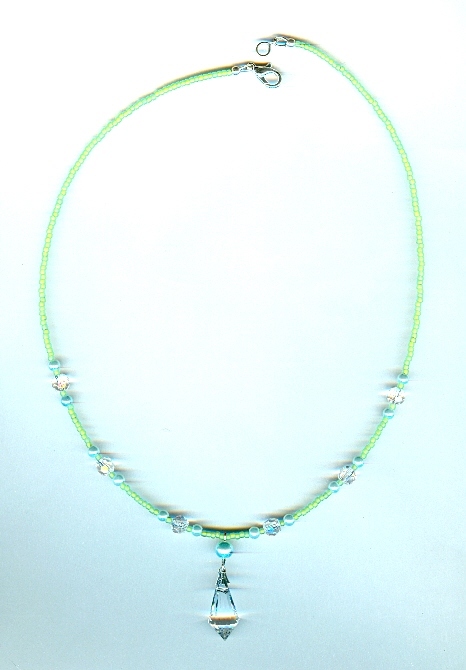 The 18" strand closes with a silver plate lobster claw clasp. 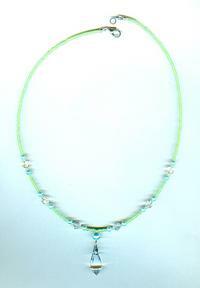 Perfect for a date or a prom, it?s another versatile necklace from SPARKLE PLENTY. All our one of a kind and limited edition artisan beaded jewelry is individually handcrafted in our studio in Los Angeles, California. Be sure to browse our online store to see all of our bracelets, necklaces and earrings and other fashion accessories. 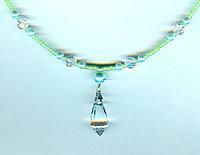 Tiny enameled aqua and rose flowers and peridot leaves are set with sparkling rhinestones. The focal bead was handblown in Venice, Italy. This glorious beaded bracelet is created mainly with rare Italian seed beads in shimmering shades of violet and aqua.